Mike, Steve, and David Chroniger have a combination of over 70 years coaching experience and over 25 years within the BCC Baseball Organization. Through the years we have coached all ages and abilities ranging from the youngest Tee ball players to MLB's youngest superstars. In this time they have learned and developed methods to help teach players the mental and physical aspects of the game. The Chroniger Way. We pride ourselves in making players students of the game. "Over the last 15 years I have been a proud instructor and coach for the BCC Baseball Organization, Mid Atlantic Rookies Baseball and The Baseball Factory. In the hundreds of teams we have coached I have been fortunate to work with a wide variety ranging from the youngest TEE-ball player to some of the top college and MLB All stars"
Graduate of Coastal Carolina University with a bachelor's degree in Health Promotion. 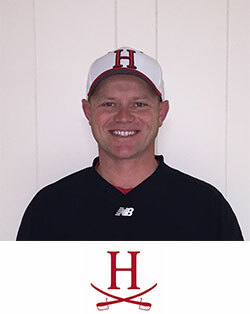 13 years experience Bethesda Chevy Chase Travel Baseball Coach ages 9-18U. Co-Director of BCC Travel/Select Winter Clinics. Founded Small Ball Baseball Academy LLC 2008. SBBA Summer Camp Director (Bullis School, Potomac MD). Graduate of Florida Southern College with a bachelor's degree Education. 15 years experience Bethesda Chevy Chase Travel Baseball Coach ages 9-18U. Est. Mid-Atlantic Rookies Baseball Program 1989.